Bills are rarely made into law in their original form. They often go through many different drafts. Drafts of bills are very simple to find, all that is needed is the year of the bill and the bill’s number. When year and bill number are known look in the Legislative Finding Aid under the Records of the Clerk of the Senate or Records of the Clerk of the House of Representatives. Within the Record of the Clerk browse by year and then by bill number. To view the record write the box and folder number on a records request form and present to the circulation desk. Note: Not all years have bills and drafts of bills. 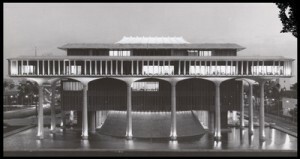 To determine if the bill or bill draft(s) you’re looking for has been transferred to the Archives follow the link to the Legislative Finding Aid to make sure that what you are looking for is at the archives. See reference archivist for records that are not described here.